I’ve been suckered by the craziest thing. Have you ever been to an animal shelter and there’s that one cat (or dog) and you take one look and you know you’re in trouble. Well, I got that feeling when I saw Leroy. 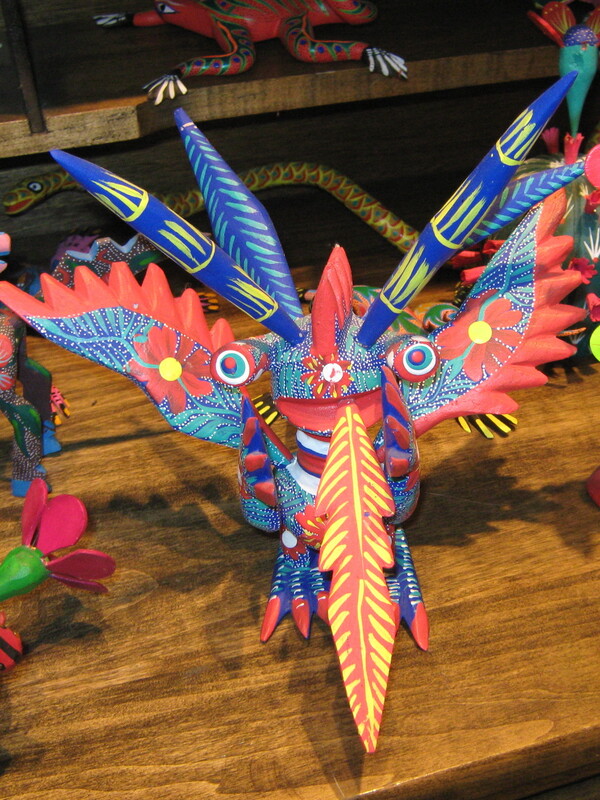 He’s an alebrije, a wood carving from Oaxaca. They’ve travelled from fever dreams to fine art galleries to little shops in San Diego Old Town. Naturally, since I bought him, I’m convinced that Leroy is an extra special example. Maybe it because he looks like a of Jim Woodring creature. Maybe it’s because his wings were on crooked. Maybe it’s because he seemed to smile right at me like he knew. After that other creatures were pretty ordinary. Yes, here are the inevitable bug pix, and a especially random batch, at that. But these are the bugs I saw wandering about outside those dangerous little shops. 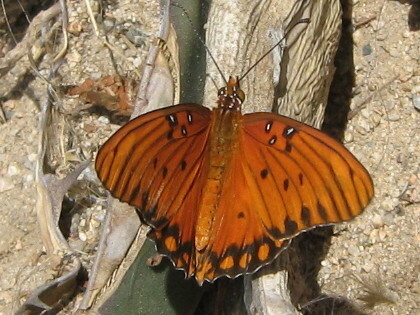 Butterflies dashing about at each other. (I only caught the one when it needed a breather.) 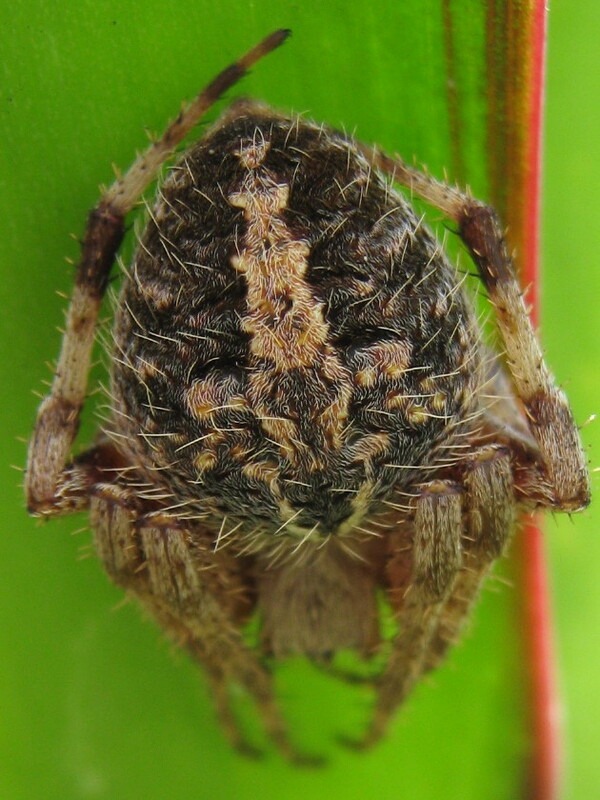 A spider hanging from a huge web in the cool (too far overhead for a picture) and hiding under a leaf in the warmth. 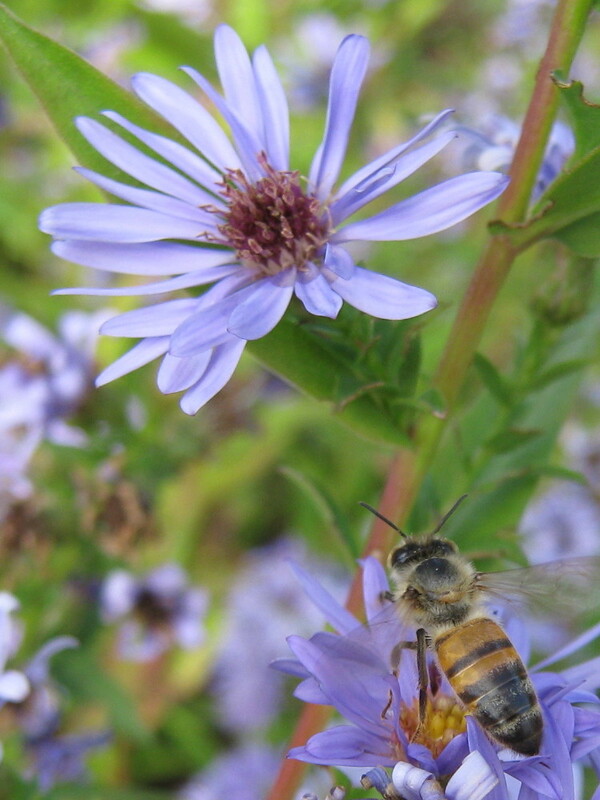 And a honeybee about to move on to the next flower.